August | 2012 | GoWests! It has been an active summer up here in the woods! In Matthew 28:18 Jesus said, “Go and make disciples of all nations…” On Friday, we graduated our DTS Equip participants and commissioned them “into all the world”!! – Into our Montana campus for training the young people God brings here to be sent out into the field. What a privilege to work with these people! They are such a special group and the school went by too quickly. From their own lips we received a well done, and from the Lord we received the same. This is our paycheck! 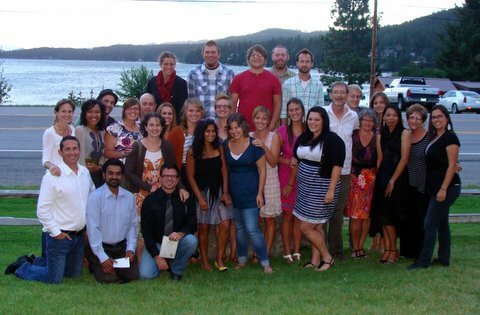 A highlight this summer was the staff team God brought together for us. It was a team of 7, ages ranging from 22 to 73 and from 4 nations! This brought such a wealth of enthusiasm, wisdom, eldership and experience to the group. Thank you for your friendship and support. We wish you could have been here with us!